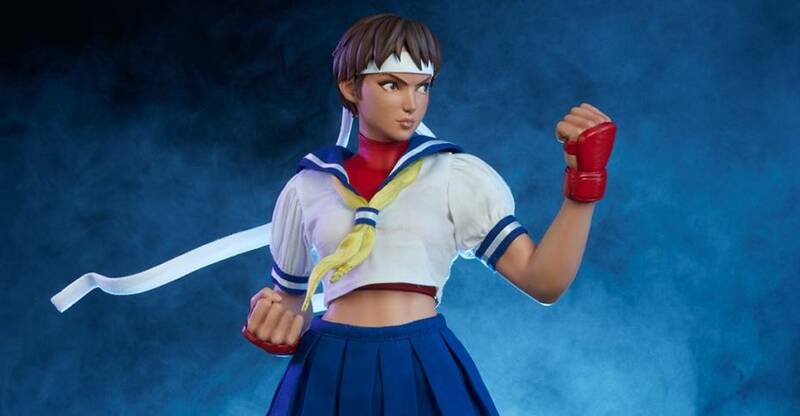 Sideshow Collectibles and Pop Culture Shock Collectibles have revealed the new Street Fighter – Sakura 1/4 Scale Statues. The new statue will be available in a classic edition, or a version in her gym training outfit. Those includes two swap out portraits each. Each of those will have standard and Sideshow Exclusive editions. The exclusives includes an art print. Pre-orders kick off on April 11th. The pricing is $440 each. See info below, and photos after the jump. Another catch up gallery today, this round for S.H. Figuarts Street Fighter Ken and Sakura. Both continue the smaller 6 inch scale line of more classic looking Street Fighter figures by Tamashii Nations. Ken comes packed with 3 faces, 2 sets of hands +1 for his signature pose and a Shoryuken energy effect. Sakura has 3 faces, 2 sets of hands, a Hadoken blast and stand for it. 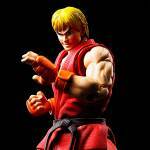 Ken is particularly sharp, pairing well with the previously released Ryu. Both could easily stand by themselves as a representation of the series on a mixed shelf. 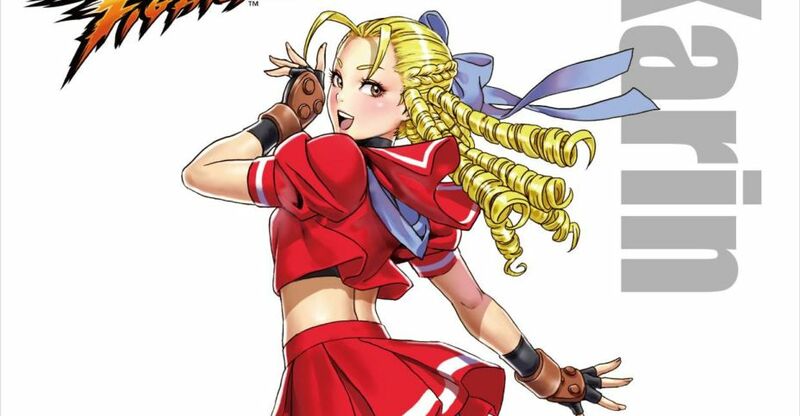 Sakura is faithful to the character and will of course also pair well with her hero Ryu. 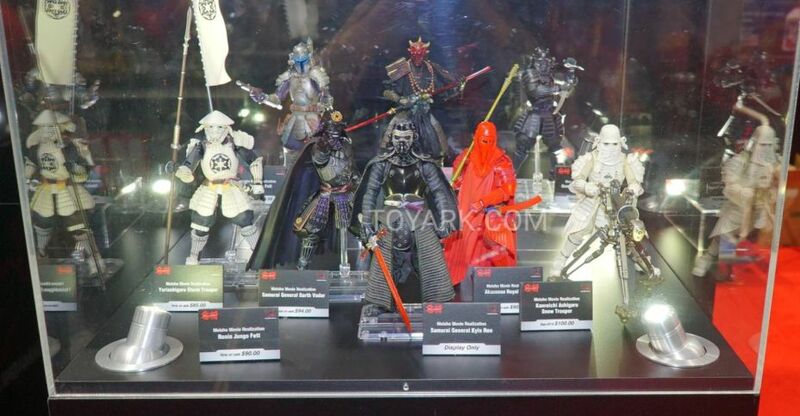 These are currently the last 2 SF figures to be revealed by Tamashii Nations. No word on if the line will continue or when after this. While I personally love the Storm figures, these are also well done, featuring more of a classic look. I’d be happy for them to continue with a focus on SFII era characters, let it build slowly over time. For now, I’m happy with Ken and Ryu to battle in scale with my DBZ and other SHF figs! Read on to check out what they can do courtesy of Tamashii and Bluefin, they are both out now at Japanese and US retailers! Check out the Pop Culture Shock booth from San Diego Comic-Con 2018. 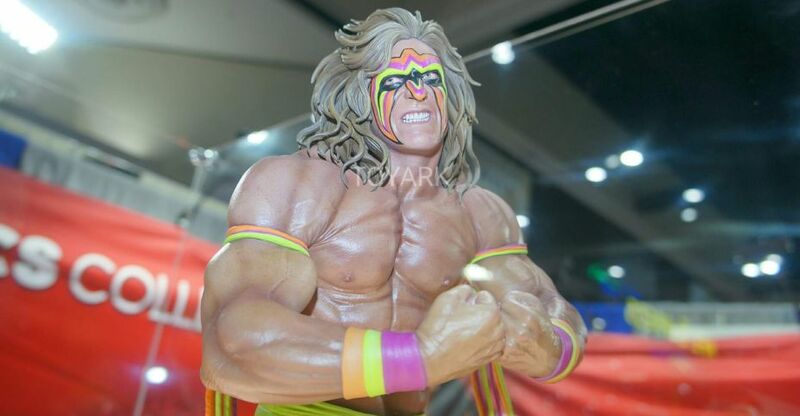 Included are their Street Fighter collectibles, their new WWE Ultimate Warrior, Slaine from 2000 AD and more. Read on for the photos. There were only two Street fighter SH Figuarts on display from the Bluefin display at Toy Fair 2018. 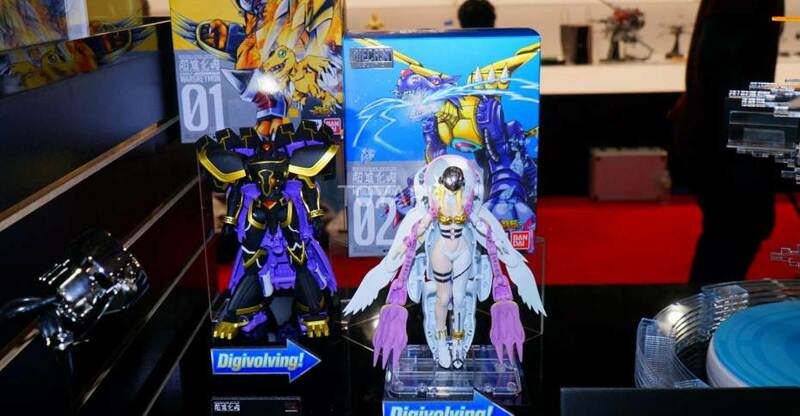 Those were the previously announced Ken and Sakura. They also had some Naruto, Chogokin Cars & Chogokin Star Wars and more. You can see those after the jump. Product pages for the S.H. 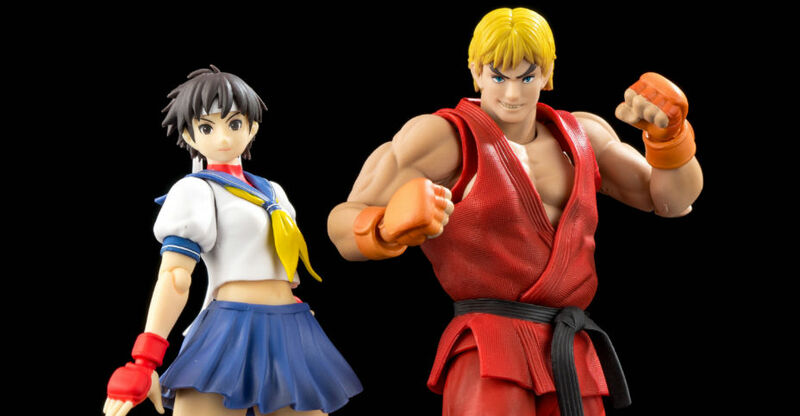 Figuarts Street Fighter Figures Ken Masters and Sakura Kasugano figures have been posted by Tamashii Nations. The figures are based on their appearance in the Street Fighter IV video game. By using Street Fighter IV as the base designs, it give the figures a more classic look compared to their new costumes in Street Fighter V. Pre-orders for the figures are set to go live on February 1st in Japan. Sakura stands at 5.7″ tall. The figure will include swap out face parts, interchangeable hands, a Hadouken effects piece, a stand piece for the effect, and a stage background dio sheet. The Sakura figure is due for release in July. She is priced at 7020 Yen (about $64 USD). The Ken figure stands 6.3″ tall. The figure includes a flaming fist effects piece for his Shoryuken, interchangeable face parts, interchangeable hands, and a background dio sheet. 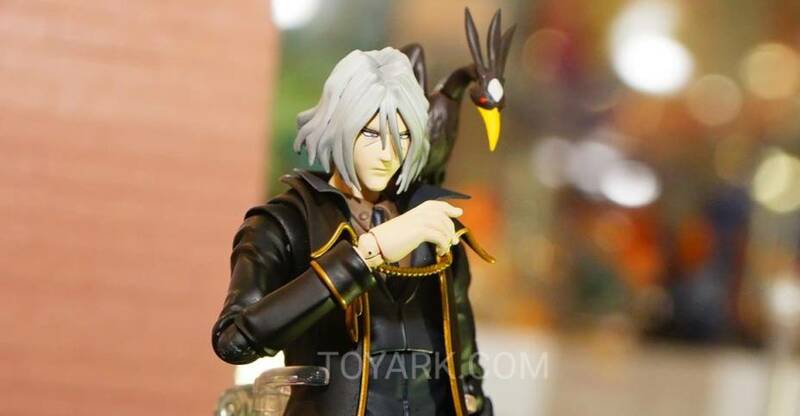 Ken is priced at 6,480 Yen (about $59 USD). He is due for release in June. Two new S.H. 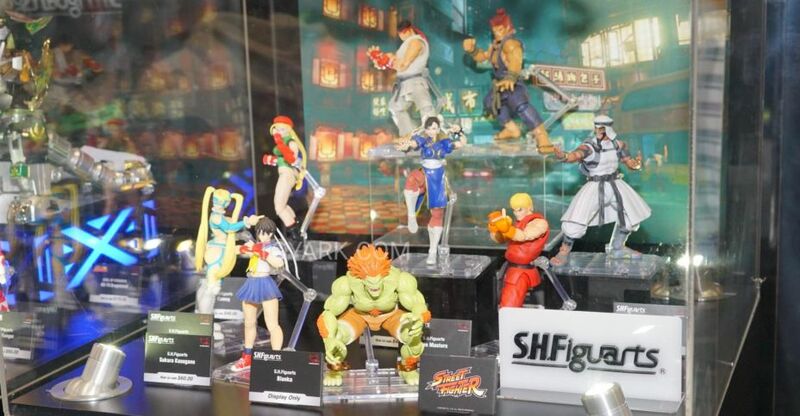 Figuarts Street Fighter Figures have been revealed by Tamashii Nations. They have posted previews of their June and July pick up items. 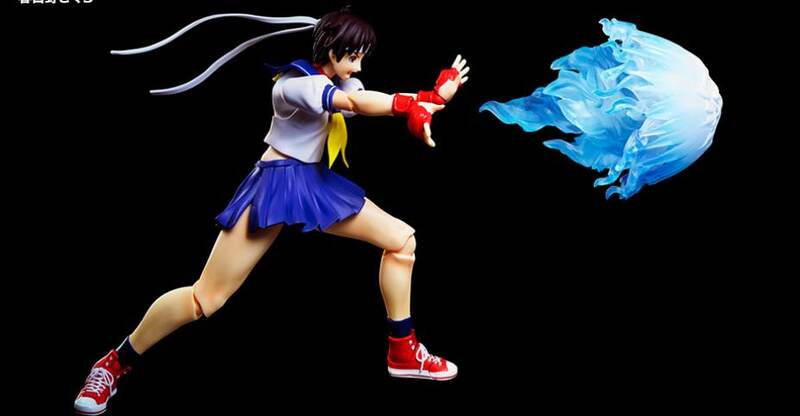 The new figures include Ken Masters and Sakura Kasugano, both in their classic outfits. Product pages should be live within the coming days. Both figures look to includes alternate portraits, interchangeable hands and effects pieces. We’ll update with more photos and details once they become available.